“Life was so much better with these people in it. They were her “seasoning.” They added spice, comfort, and laughter to her life. Qualities her life had been missing until now.”–Tangled Up In You. I started writing Tangled Up In You over three years ago. The manuscript has gone through what feels like one hundred revisions since then. One of my favorite chapters is actually one I wrote during one of the latter revisions. Emily, my main character, has come back to Bon Chance, and has began work on repairing her grandparent’s house. She finds the old cast iron pot that she and her Grandmother, Ruby, had used to make many a gumbo. The years have weathered the cast iron, and she needs to “season” it before it can be used again. Basically, what she needs to do is to show the pot some love. Want to read more about Emily, Noah, Ryder, Carly, and all the other characters? Tangled Up In You is scheduled for release on October 27th, 2015. 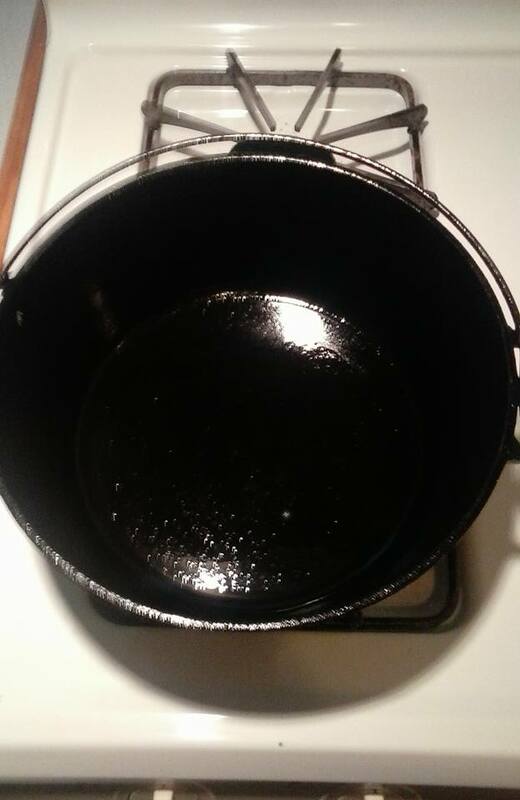 That’s what I love about seasoned pots…So much love and history!